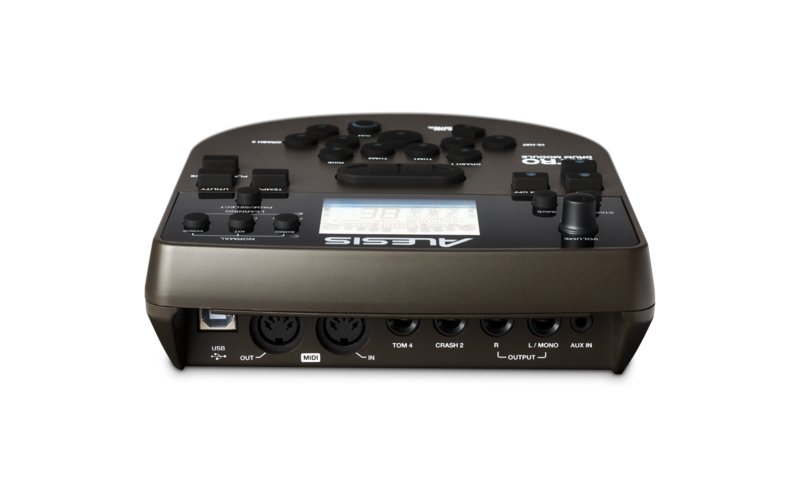 Alesis Nitro Review. 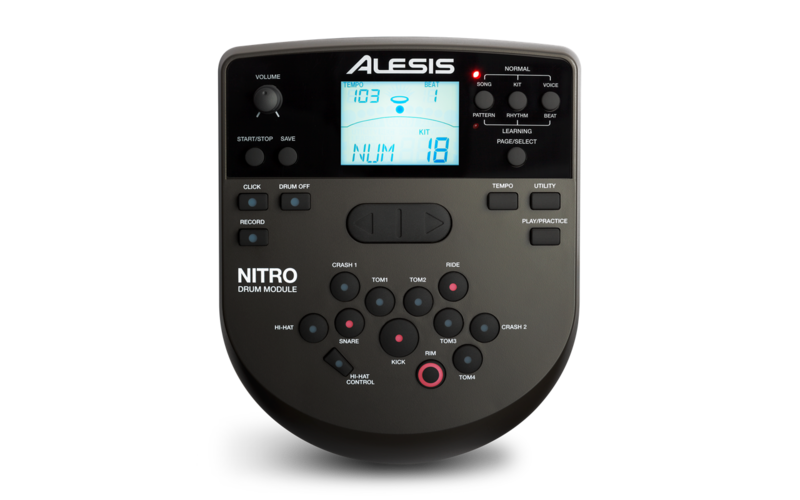 The Alesis Nitro is one of the most popular E-Drum kits on the market. It’s also Amazons Choice. A dynamic kit with a great feel and response which is competitively priced for the amount of features it has, that’s for sure. This 8 piece electronic drum kit features 24 great Preset Drum Kits, 16 User Kits, 385 Percussion and cymbal sounds. Learning Mode offers 20 beats, 12 Rhythms and 10 Patterns. You can also choose a tempo to play to from 30 BPM to 280 BPM. 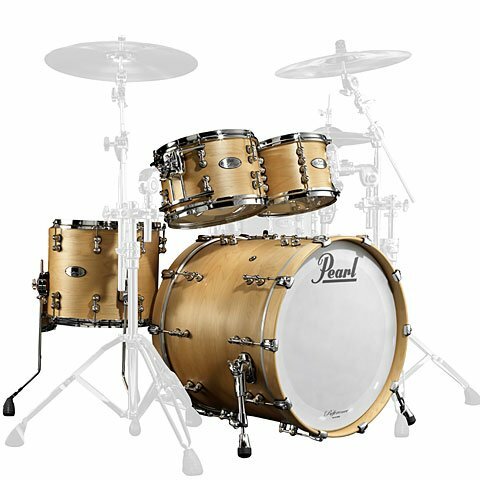 It’s a powerful entry level kit for a beginner or giging semi – pro drummer. 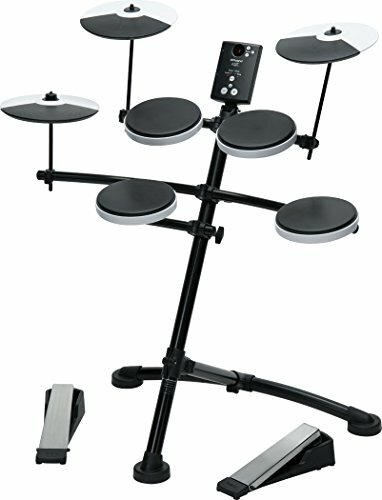 Having searched the web for info on this kit, I’ve got to hand it to Alesis. 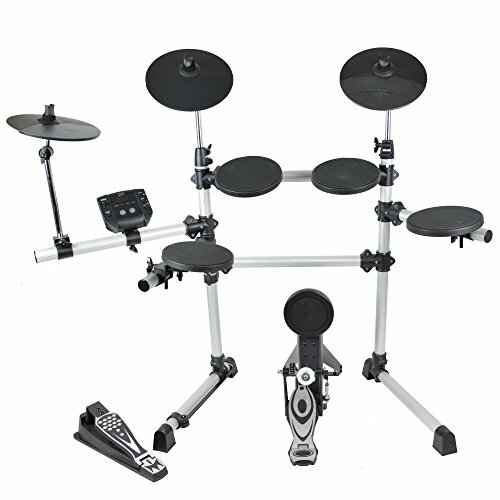 The Alesis Nitro Electronic Drum Kit is one powerful entry level kit. For the price and the features there doesn’t get much better. 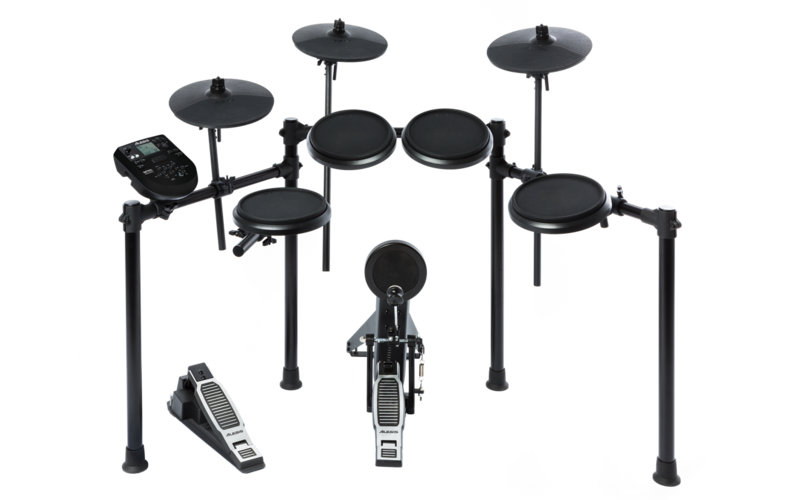 Why Choose the Alesis Nitro Kit ? I’d have to put the Alesis Nitro Kit down as one of my favourite Electronic Drum Kits for Beginners. 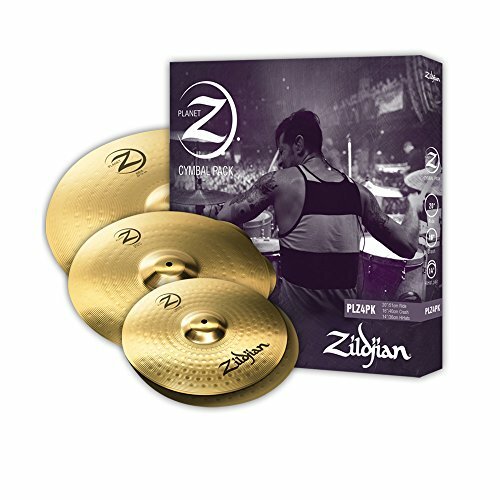 I’d have no problem recording with the kit in my studio or practicing at home. 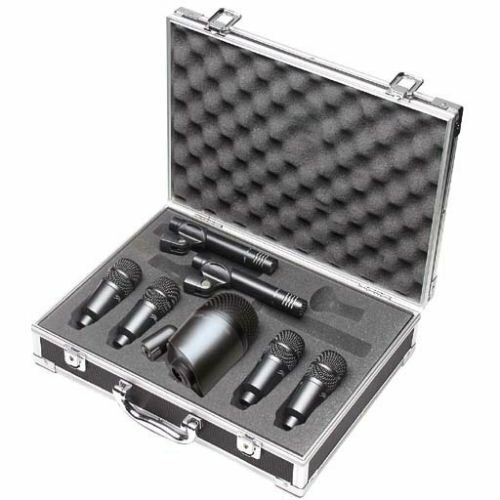 It’s a powerful device for recording into DAW’s and not a bad choice for the gigging Semi – Pro drummer who needs to access different sounding kits for original songs or cover versions during a hectic set. This is an intuitive drum module. Everything at your fingers tips. I love the simplicity of the drum pad layout on the front panel that mirrors the position of the drums and cymbals around the kit. The big start button and click button are right there where you need them. From here you can access the 24 onboard drum kits, 16 user kits and 60 play along songs to write your own grooves to. This is a Pro interface that has been thought about. 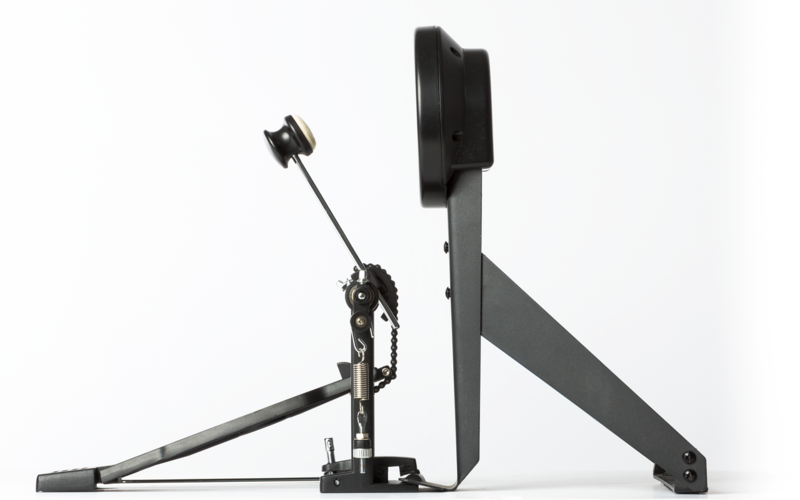 The Nitro has everything in the right place for when you need to move fast playing under pressure at a gig. This is simply a great design for a beginner or a seasoned pro. Editing and saving your kits. Reverb, 3 band eq, you can also change the pitch and the pan position of the sounds. Adjust the pad ‘Sensitivity’ if you like to strike the kit ‘hard or soft’. Adjust the ‘Cross-Talk’ to stop pads unintentionally triggering. Change the ‘Velocity Curve’ to alter the dynamic response to the force of your hit. From Right to Left on the back panel of the Alesis Nitro Module. First is your Aux Input. Here you can plug your MP3 player, iPhone or CD player in and play along to your own favourite songs. Next to the Aux Input are the Stereo Outputs. Here you can connect a pair of speakers to the Stereo L & R for playing live or rehearsing with your band maybe. Then 2 optional Inputs where you can have additional an Tom pad and/or Crash Cymbal pad if you wish to extend the size of the kit. Next along is a standard ‘five-pin’ MIDI Input to connect to the MIDI Output of an external MIDI device. A MIDI keyboard for instance. You could trigger/play the onboard sounds of the Nitro Module via this MIDI Input. Then another standard ‘five-pin’ MIDI Output to connect to the MIDI Input of an external MIDI device. A MIDI sound module for instance. You could trigger external sounds from a sampler for example. Last is the USB connection which will allow you to connect to your computer and send MIDI information. You can record what you play on your kit into a DAW (Digital Audio Workstation), Cubase, Logic Pro etc. Write your own song in Cubase then play the drums on it. On the side panels you will find the Stereo Headphone output, Power connection and Power On/Off Button. Getting an Electronic Kick Drum Pad right is difficult. In fact I’ve never come across an Electronic Kick Drum Pad that is comparable to a Real Kick Drum and I’ve played a lot of them. They’re just different, so bare that in mind. You need to spend a little time setting the kick pad up just the way you want it. They can be very responsive if they’re set up right. 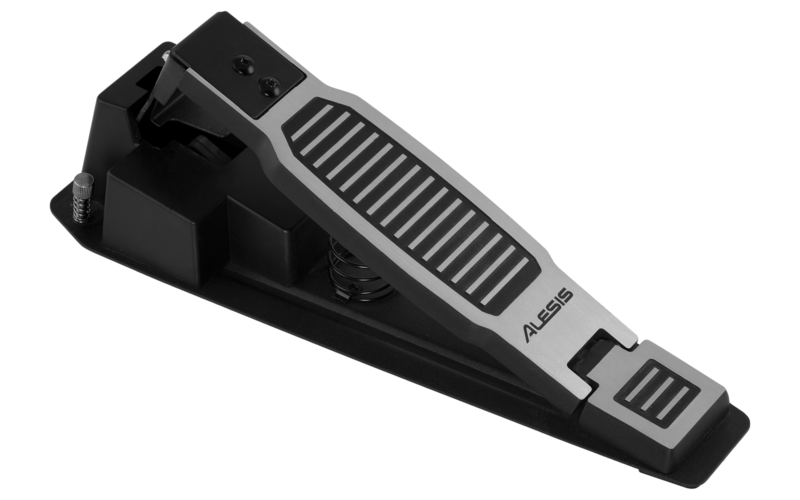 The Alesis Nitro Kick Tower comes with a Kick Pedal which is cool. It’s got adjustable spikes to hold it in position on a carpet. It’ll give you a responsive dynamic feel. You can also play it with a double Kick Pedal. It has a slim profile so it’ll fit really well next to a double kick pedal. It also has spikes and velcro to hold it in position on the carpet.